`The Tomb of an Unknown Craftsman is of a treasure hoard from a distinct civilisation. The difference is that it is a civilisation of one. The territory it springs from is my imagination. ... The relationship between my personal themes and obsessions and the vastness of world culture as represented in the British Museum is like a narrow pilgrimage trail across an infinite plain.' Grayson Perry Grayson Perry's centrepiece to this fascinating journey is a major artwork: a metal tomb in the form of a ship, encrusted with reliefs and artistic cargo based on, or actually cast from, objects in the collection of the British Museum. The occupant sails into the afterlife surrounded by the talismans of many faiths and peoples. This is a memorial to all the anonymous craftsmen that over the centuries have fashioned the man-made wonders of the world, many of which are on display in the Museum. Around the tomb, the other artworks - ceramics, tiles, cast metal sculpture, textiles and prints - are laid out in ritualistic symmetry as if they once belonged somewhere else. Alongside his own works, Grayson Perry presents a personal selection of objects from the British Museum that are the inspiration for his pieces or connected strongly with them thematically or aesthetically. Including an introduction by Grayson Perry and lavishly illustrated, this book takes us to the fantasy world of a contemporary artist who never fails to challenge and unsettle his audience. 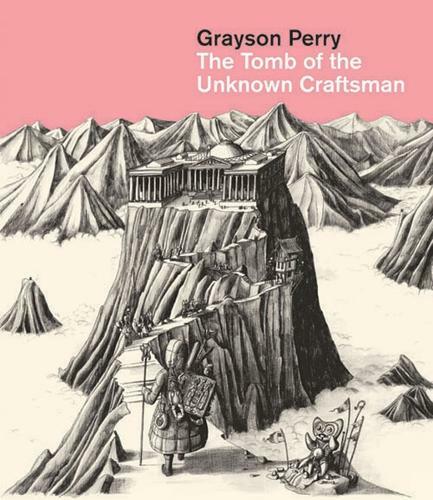 "Grayson Perry is winner of the 2012 South Bank Sky Arts Award for visual arts, for the British Museum exhibition, The Tomb of the Unknown Craftsman."